Item # 312991 Stash Points: 2,495 (?) This is the number of points you get in The Zumiez Stash for purchasing this item. Stash points are redeemable for exclusive rewards only available to Zumiez Stash members. To redeem your points check out the rewards catalog on thestash.zumiez.com. 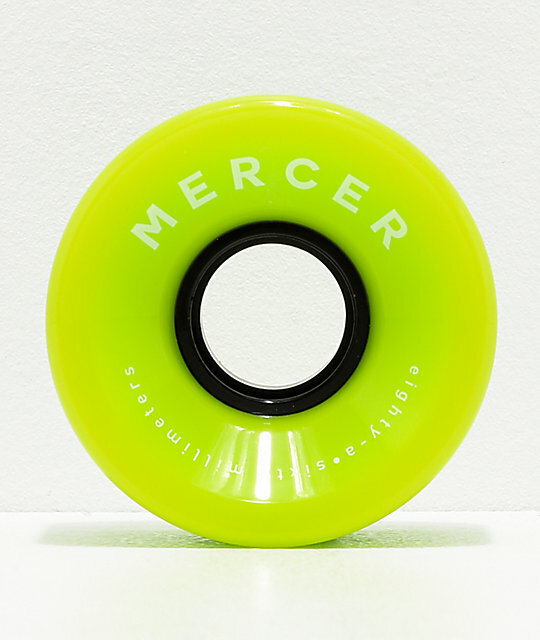 Give your cruiser set up an upgrade, with the Mercer Green 60mm 80a Cruiser Skateboard Wheels. Square lipped for premium grip, these small wheels are perfect for cruising the streets with confident turns and a smooth ride. Coming in at an 80a durometer, these are soft enough to absorb all-manner of sticks and pebbles to keep you upright through the worst the pavement jungle throws your way. 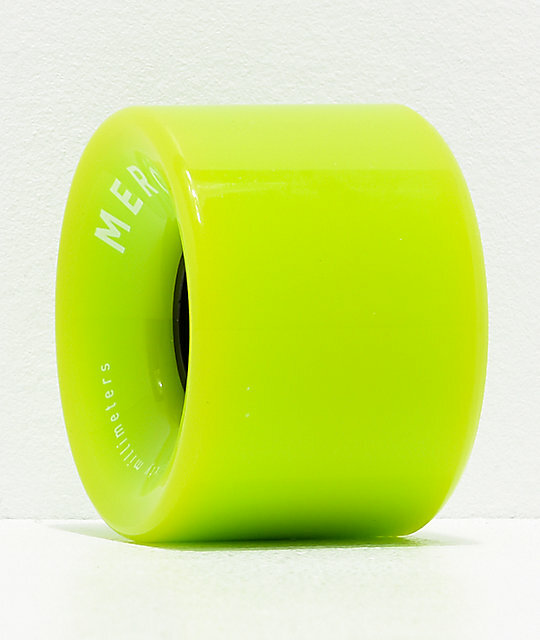 Green 60mm 80a Cruiser Skateboard Wheels from Mercer.